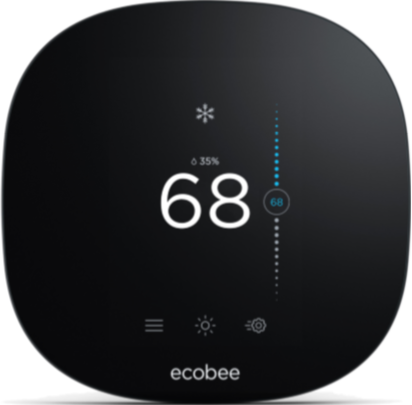 Your ecobee3 lite thermostat has the potential to help you save year-round on your heating and cooling costs. However, improper settings may increase your energy usage, resulting in higher winter bills. It’s important to understand your device’s settings to maximize its energy efficiency. Threshold settings for heat pumps with auxiliary heat can be configured to operate for comfort or for energy savings. If you’re looking to save energy this winter, you can make a few of the simple adjustments listed below on your ecobee3 lite thermostat to limit your heat pump from using auxiliary heat. Change your "Compressor to Aux Temperature Delta" – Auxiliary heat will not activate and operate with the compressor until the degree difference between room temperature and set point temperature is greater than this setting. We recommend setting to 5°F. Increase your "Compressor to Aux Runtime" – This changes the maximum number of minutes the compressor is run before activating the auxiliary heat. We recommend setting to AUTO. Lower your "Compressor Min Outdoor Temperature" – The compressor will not run below this outdoor temperature. We recommend setting to 0°F. Confirm your "Aux Reverse Staging" – For optimum efficiency, this setting does not need to be set to enable. We recommend OFF. Confirm your "Aux Heat Max Outdoor Temperature" – The auxiliary heat will not run when the outdoor temperature is above this point. We recommend setting to 70°F. 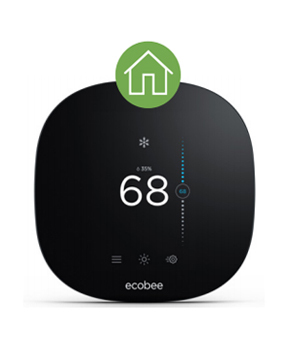 For additional information on comfort settings, you can contact ecobee directly. Aux Heat Runtime Alert: This alert notifies you that the auxiliary heat runtime duration setting has been exceeded. Aux Outdoor Temp Alert: This alert notifies you if the auxiliary heat is triggered on when the outdoor temperature exceeds the selected alert temperature setting. 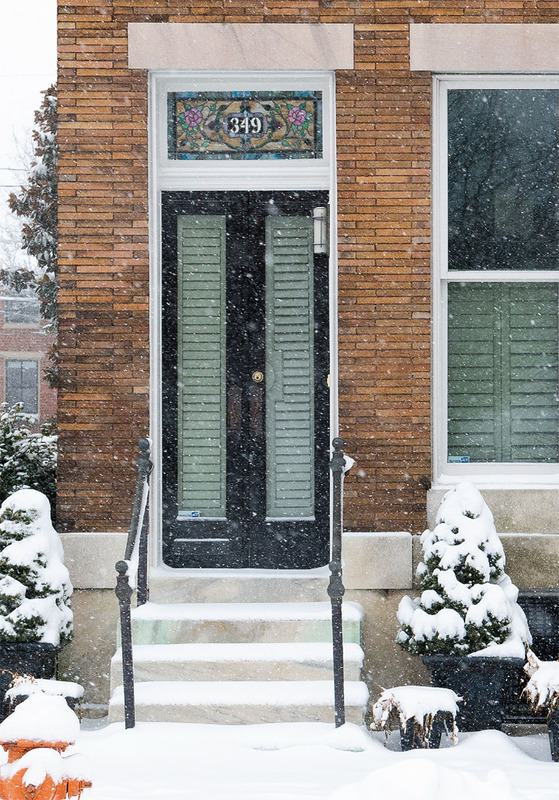 Low Temp Alert: To prevent home damage due to freezing, you can set a Low Temperature Alert. The low temperature range can be from 35 to 68°F (1.5 to 20°C). High Temp Alert: To help manage energy usage, you can set a High Temperature Alert to notify you when room temperature rises above the alert setting. The high temperature range can be from 60 to 105°F (15.5 to 40.5°C). Home heating is the single highest energy user. It is recommended to have your heating system serviced routinely by a certified HVAC company to ensure your system is running efficiently. 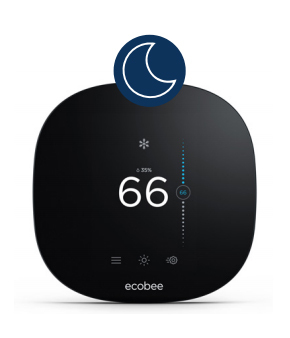 Set reminders and alerts on your ecobee3 lite to stay on schedule with filter replacements and regular system maintenance. This will help keep your HVAC system running in tip-top shape, making it more energy efficient and helping you to save more. Find out more about configuring reminders and alerts. 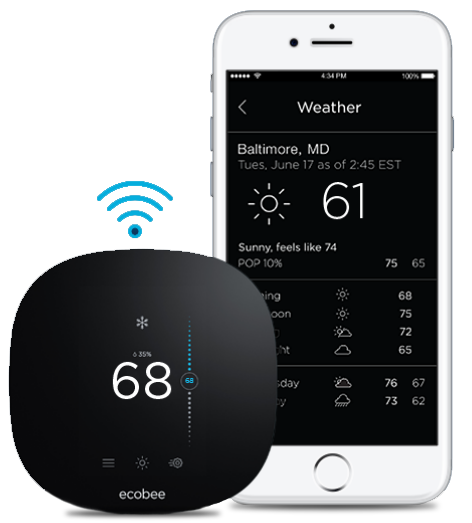 The Weather Impact algorithms help your ecobee understand how the outdoor temperature affects your home’s heating and cooling and uses this information to learn how efficiently your home maintains temperature. 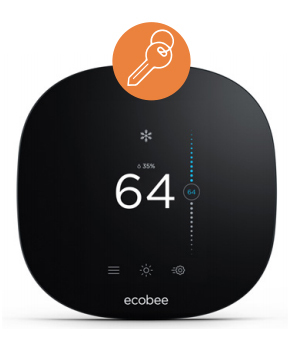 This will allow your ecobee to make smarter heating and cooling decisions to prevent your system from running unnecessarily. You can view your Weather Impact data on your Web Portal. For additional tips, visit BGE.com/save. Customers who receive PeakRewardsSM bill credits are subject to the Terms & Conditions for the PeakRewards program. Please review the updated Terms & Conditions available at: BGEsavings.com/Resources.